Home CDN , children , crafts , feature , holiday , holidays , homeschool , March , papercrafts , printables , US , worldwide March 20th - Featuring Spring Freebies! March 20th - Featuring Spring Freebies! 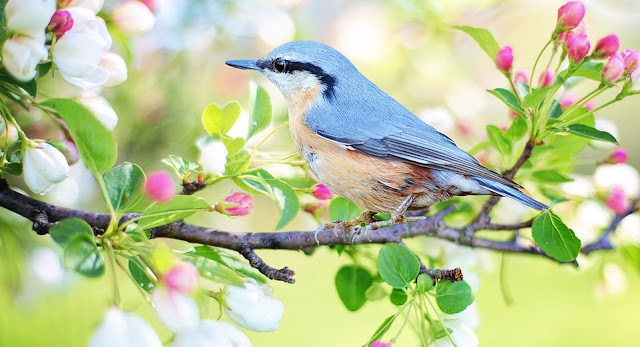 -- From the budding of the trees and the warming of the temperatures to the animals coming out of their winter hideouts, there seems to be a promise of new birth and color in the springtime air. My tulips are growing - how is your garden? -- Before spring comes, the trees are dark sticks, the grass is brown, and the ground is covered in snow. But if you wait, leaves unfurl and flowers blossom, the grass turns green, and the mounds of snow shrink and shrink. Spring brings baby birds, sprouting seeds, rain and mud, and puddles. You can feel it and smell it and hear it — and you can read it! • A Complete Spring Garden -- 50 Bulbs for 50 Days of Continuous Blooms. Tulips, Daffodils, Muscari, and other hardy perennial bulbs. The varieties may vary depending on the season. Hardy in zones 2-9. Months of Bloom: Mid Spring. Height: 4-18"
• Adirondack Arrangement Flag -- Toland Home Garden's Adirondack Arrangement House Flag is a fun way to accent your home any time of the year. Featuring a blue adirondack chair surrounded by colorful flowers, this flag will brighten up your porch and your neighborhood. - A national day of activism which empowers youth to speak up and take action against Big Tobacco at more than 1,000 events from coast to coast. Learn more about what Big Tobacco does to attract youth and get more people addicted its products by downloading and checking out the Kick Butts Day Downloadable Resources. - What is Ravioli? Ravioli is a traditional Italian pasta dish made by stuffing rounds or squares of pasta dough with a filling, creating a sort of pasta pillow. Go out and treat yourself to some delicious ravioli! - Clamp on your foil hat and cower under your bed, Alien Abduction Day is here, when the skies are carefully watched by those expecting / wishing to be abducted by an alien life form. Or simply enjoy an alien abduction movie today, such as: Close Encounters of the Third Kind, Fire in the Sky, Men in Black, The Astronaut's Wife, Taken and Signs. - Having been driven from Paris to Amsterdam early in the morning, John Lennon and Yoko Ono checked into the Hilton Hotel, where they staged the first of two bed-ins for peace. The couple knew their wedding, which took place on March 20, 1969, would receive extensive press coverage, and so decided to use the publicity to promote world peace. - On (or around) March 20, thousands of caring people in all 50 U.S. states and two dozen other countries get active to host educational events for Meatout - the world's largest grassroots diet education campaign. Activists distribute free food, educate their communities, and ask their friends, families, and neighbors to kick the meat habit and explore a wholesome, compassionate diet of fruits, vegetables, and whole grains. - A day for brides and grooms round the world to forget wedding planning and all the stress and kiss your Fiancée! - Today you are asked to grab a jump rope and hop to it! March 20th – the first day of spring – is the day for girls and boys to jump-start their way into a more active lifestyle by gathering friends and family and seeing how many times in a row each person can jump without stopping. Any kind of jump will do, from a simple hop to a Double Dutch or Criss-Cross step. Or, they can jump into another activity which pumps up the heart, like biking, skating, or playing tag – the idea is to get off the couch and on the road to good health. - In honor of Fred Rogers' birthday, March 20th has been declared Won't You Be My Neighbor? Day throughout all kingdoms, real or make believe. The point of the holiday is to carry on Mister Rogers' spirit of being neighborly: be connected, strengthen your community ties, reach out to people you've never talked to before. - One of the Lesser Sabbats during the Wiccan year, Ostara is a fire and fertility festival which marks the beginning of spring. Annually, on the spring equinox. - Initiated to make earth inhabitants aware of their responsibility to care for the planet. This care includes environmental and natural resources. International Earth Day was founded by John McConnell, of Davis City, Iowa. In September, 1969, he proposed the establishment of Earth Day to the San Francisco, California Board of Supervisors. - Nowruz marks the first day of spring and the beginning of the year in Iranian calendar. It is celebrated on the day of the astronomical vernal equinox. As well as being a Zoroastrian holiday and having significance amongst the Zoroastrian ancestors of modern Iranians, the same time is celebrated in parts of the South Asian sub-continent as the new year. The moment the Sun crosses the celestial equator and equalizes night and day is calculated exactly every year and Iranian families gather together to observe the rituals. - On this day, atheists seek to let the world know that we exist. Because we are often demonized and marginalized, in much the same way as sexual minorities, simply asserting our identities as nonbelievers can do much to overturn stereotypes, and help others who privately doubt religion. While the aim is visibility, the number of participants is less critical than is the ability to get people to publicly admit their lack of faith. - A festival to mark the end of winter and welcome spring. It's a way to celebrate the change of the seasons. By March 20th, most of us are more than ready to say goodbye to winter and hello to spring. We say goodbye to the last icy snowman by helping it melt as we set it a fire and watch it burn. - The Fast of Esther (ta'anit Ester) remembers God's deliverance of the Jewish people from the evil scheming of Haman (said to be a descendant of the Amalekites) during the reign of the Persian King Xerxes (Ahasuerus in Hebrew) as described in the Biblical book of Esther. Xerxes became king of the great Medo-Persia empire at the death of his father Darius the Great in 485 BCE.